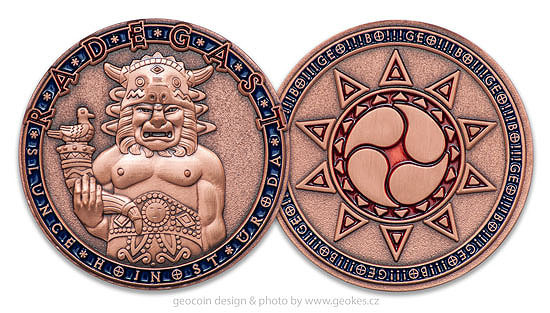 We design and produce geocoins for other geocachers. 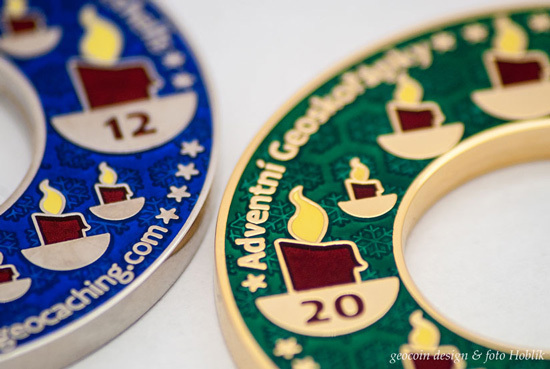 We always discuss the design, quality, budget to find the most effective way to produce the cool geocaching coin. 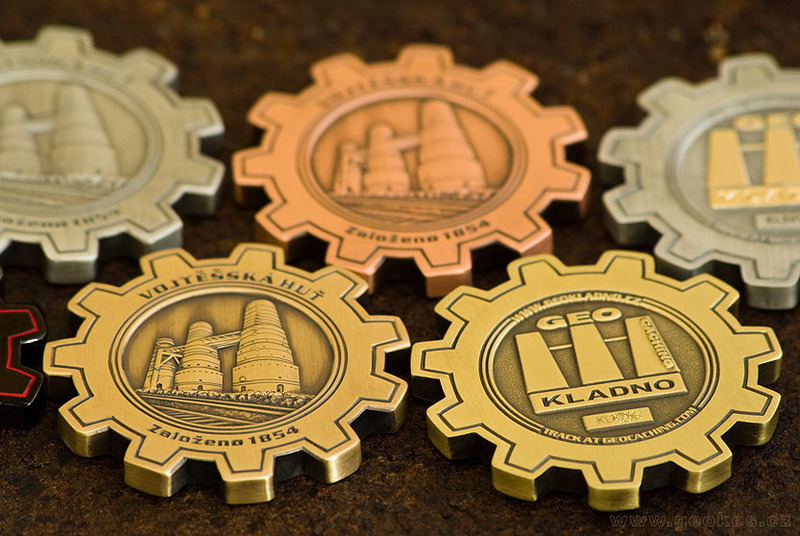 Besides geocoins we design and produce also trackable tags, and pins. 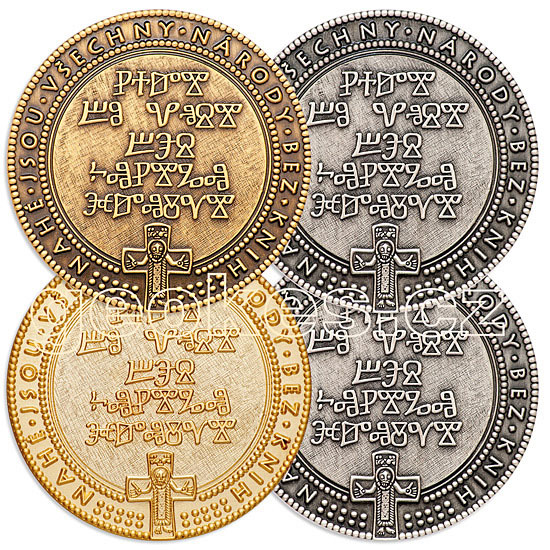 We work directly with coin making factory, so all communication is quick and effective. 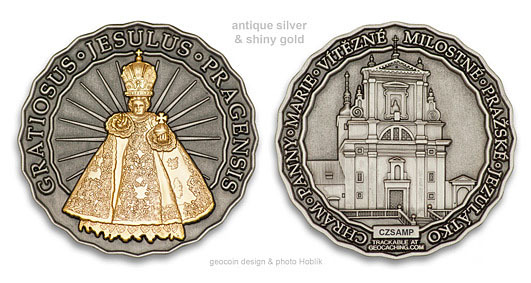 We have chosen factory that is able to produce coins with special ideas. 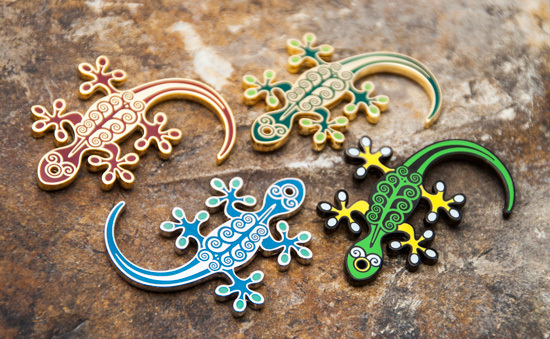 We are also handling all communication with Groundspeak concerning tracking codes and icons. 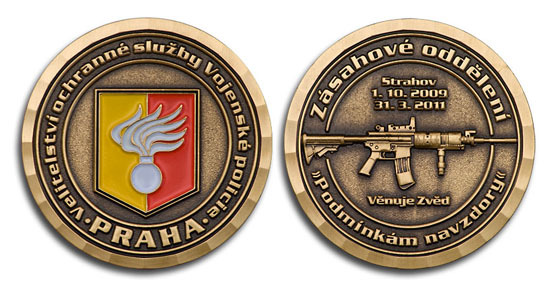 Let us know what is your idea about the coin design, if you have any artwork, size, quantity and we would be happy to get pricing for you. 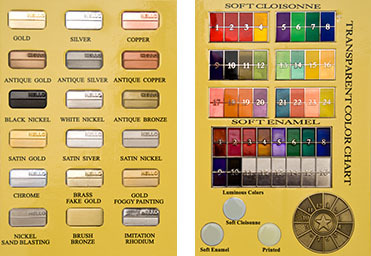 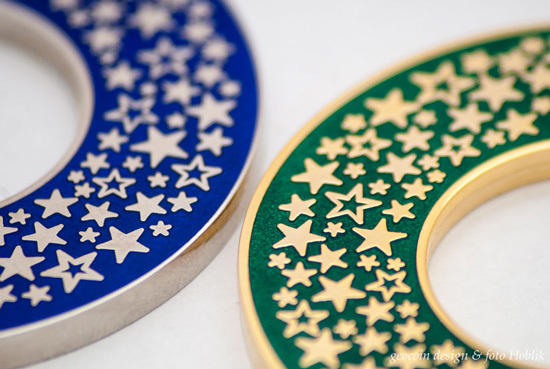 There are several possible ways to produce the coin, diferent metal technologies and coloring technologies. 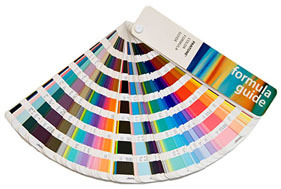 We can suggest, but need to know the whether you are looking rather for "cheap price" or for quality of material. 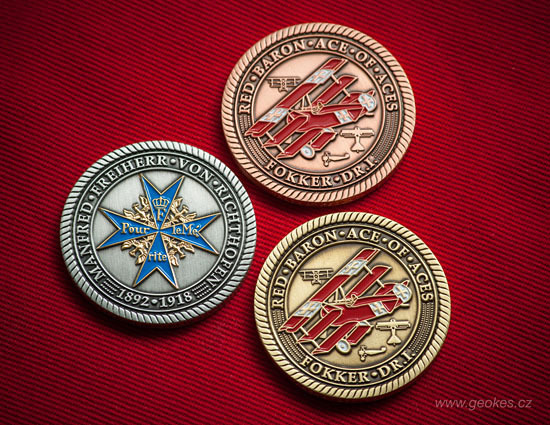 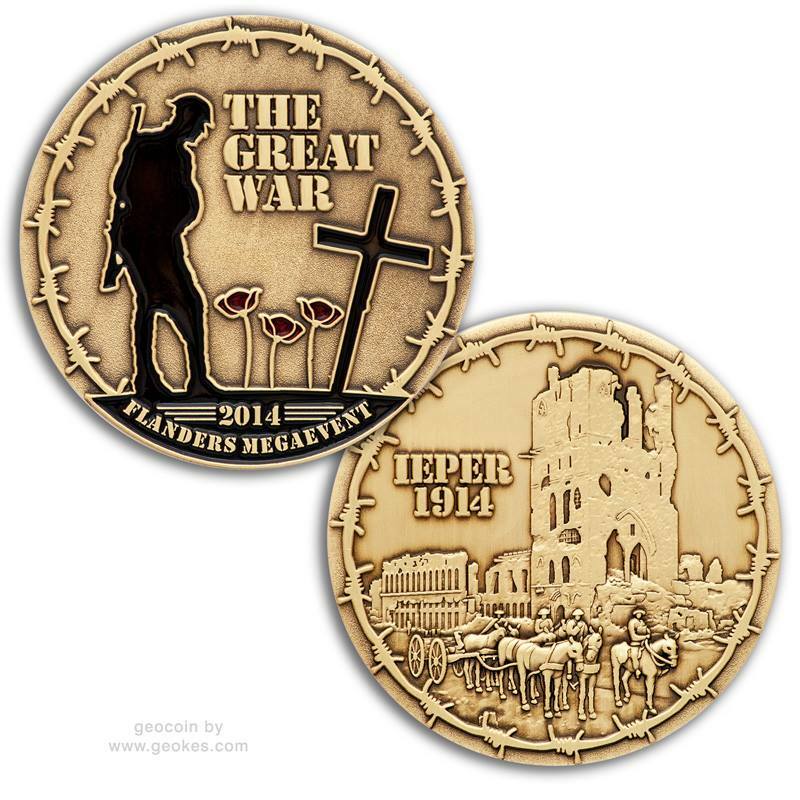 We are authorised geocoin producer by Groundspeak Inc.
We also design and produce other non-geocaching coins and pins. 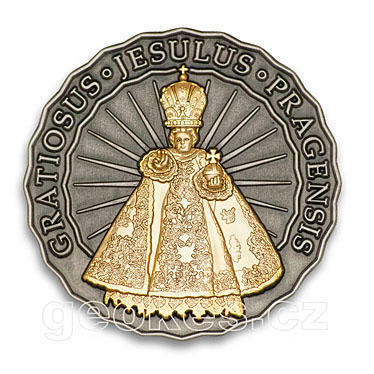 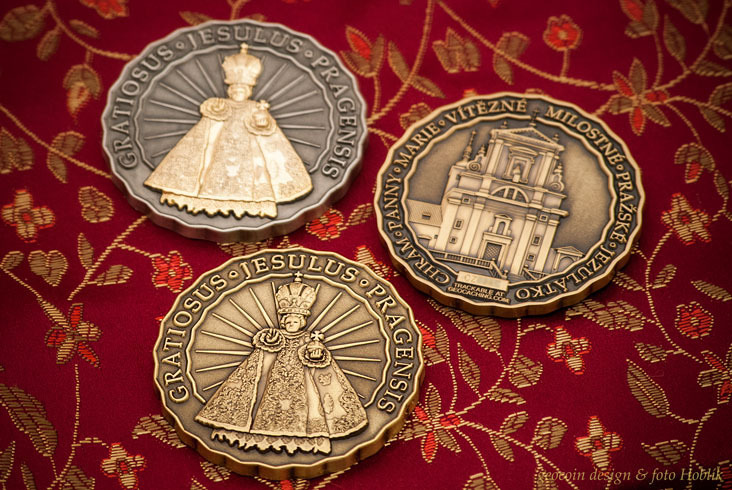 Scroll down or click the links for geocoin photographs. 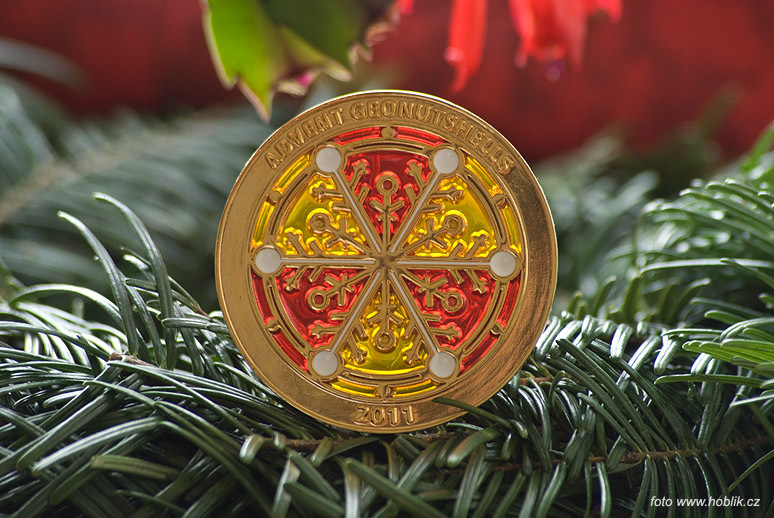 Geocoin designed and produced for regional geoaching community. 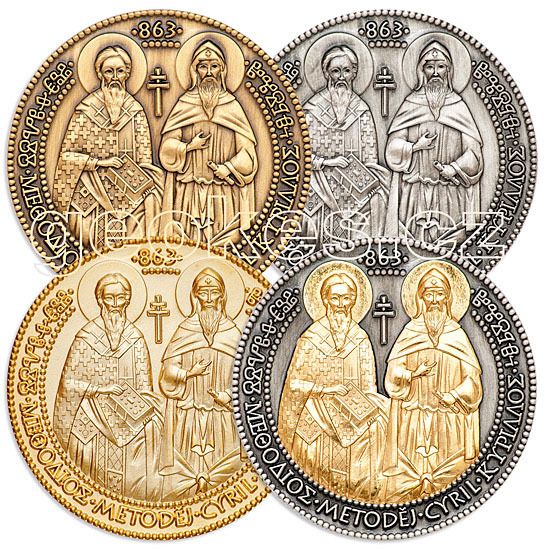 Creators of the first slavic alphabet. 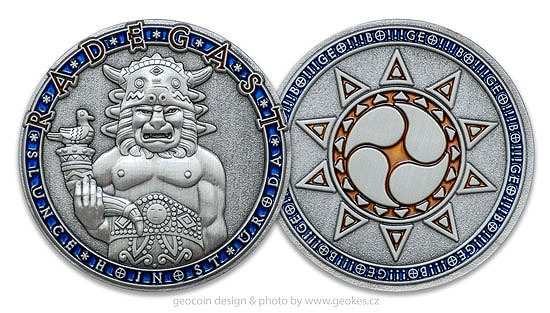 Geocoin designed and produced for regional group of geocachers. 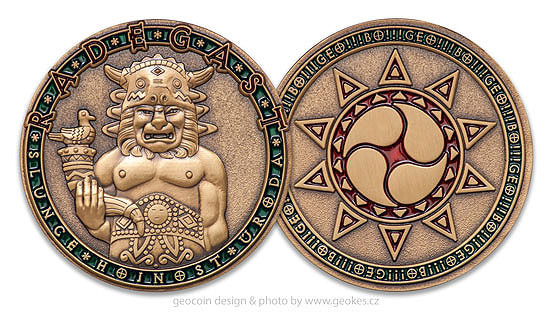 Geocoin dsigned and produced for geocaching mega event. 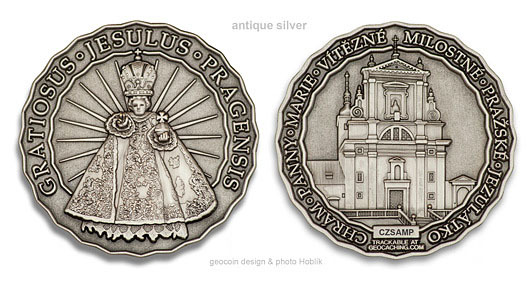 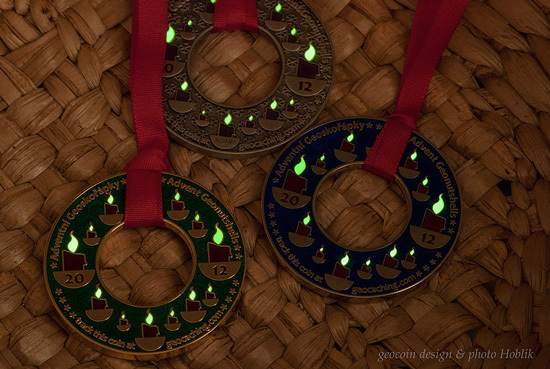 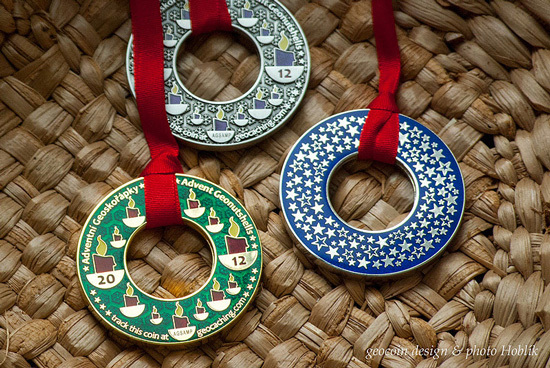 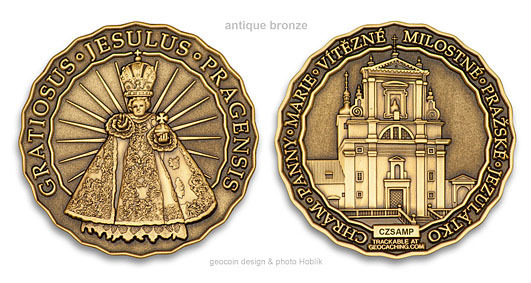 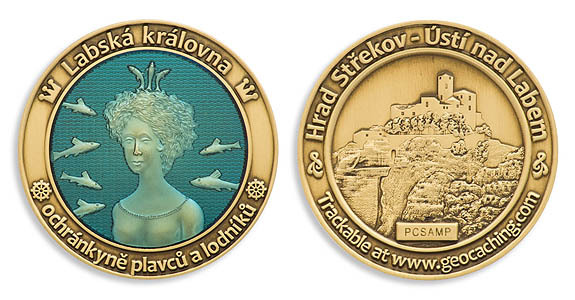 Together with organiser of this legendary Prague event we have produced this Xmas geocoin. 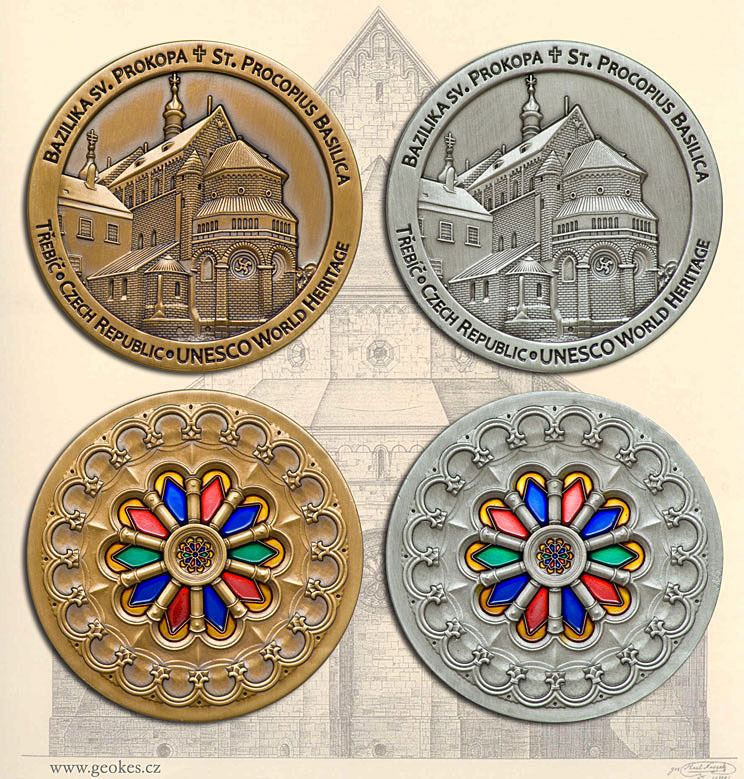 Geocoin with 3D relief and transparent enamel.